resident Donald Trump has stated that his vision of a “great” and “not penetrable” wall along the border with Mexico would keep “rapists,” “murderers” and other people from breaking into the United States. But a U.S. Customs and Border Protection report shows new barriers could fail in that job — at least if they’re based on the steel and concrete barriers that were tested in last year’s $5 million Otay Mesa prototype project. The models were meant to inform future wall designs, combining different features of the prototypes. The heavily redacted government documents reveal every mock-up was deemed vulnerable to at least one breaching technique. 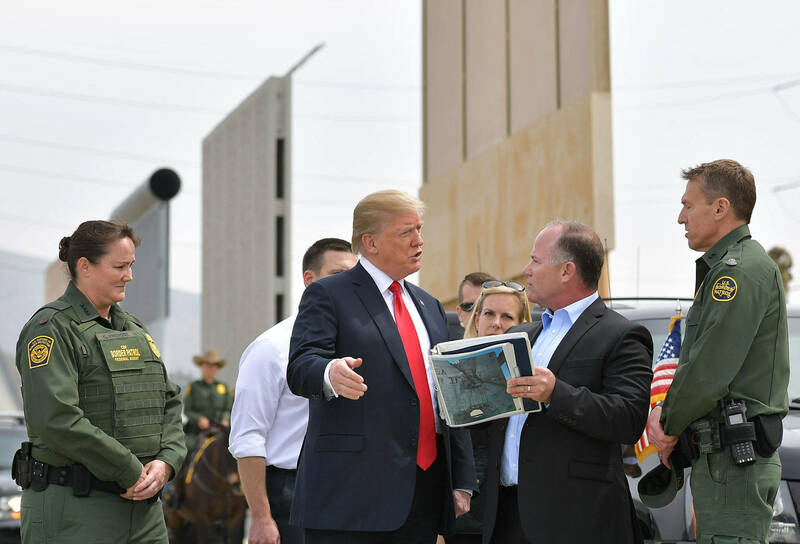 The report, obtained by KPBS through a Freedom of Information Act request filed in January, shows the final results of tactical teams trying to breach or scale the prototypes and mock-ups of the wall. During testing, the teams who observed the damage caused by one breaching technique decided to postpone it on other mock-ups. The technique’s nature was redacted. “The (redacted) breaching technique was rescheduled to be last breaching technique on each mock-up, since the technique had the potential to impact the structural integrity of the entire mock-up,” the report states. Engineers interviewed by KPBS said these sections of the report show that the mock-ups were at risk of collapsing due to the redacted breaching technique. As for the prototypes, it’s unclear from the document whether they can be scaled. The government redacted almost the entire section on scaling. Meanwhile, the report provides no evidence that the government tested how well the barriers resist the creation of tunnels beneath them. Resistance to tunneling was among the project requirements. Additionally, most of the prototypes failed to show they could be easily modified in response to different border landscapes. Here’s a breakdown of the actual results. Q: Can The Barriers Be Breached? A: They Can Be Broken. The breaching trials on the mock-ups were conducted by the Border Patrol Tactical Unit and military special forces including Marine Special Operations Command and the U.S. Special Operations Command. The teams had nearly 60 different breaching tools available to them. Thirteen redacted photographs in the “Border Wall Mock-Up and Prototype Test Final Report” are labeled as “breached,” but it’s unclear how many mock-ups those photos correspond to because of the redactions. All of the prototypes were deemed vulnerable to the breaching technique that was rescheduled to be at the end of each test. Whether that technique was actually applied to the mock-ups is not evident in the documents. Another change of plans came when one of the mock-ups was so damaged by a technique that not all portions of the testing were conducted on that mock-up. The mock-ups were replicas of the lowest 10 feet of each prototype. Unlike scaling tests conducted on the 30-foot prototypes in open air beside existing 10-foot rusting steel fencing, the breaching tests were done on mock-ups of the prototypes November through December in a location described in the document as “Pogo Row,” a dirt road north of the prototypes. The dirt road is lined on the south by Brown Field Municipal Airport and on the north by stretches of wrecked and dismembered vehicles stacked by auto parts vendors. At the east end of the road, U.S. Customs and Border Protection support facilities lie behind a chain-link fence featuring “No Trespassing” signs. During testing late last year, a Customs and Border Protection spokesman told KPBS breaching trials were hidden from public view to keep smugglers from gleaning information about how to break the barriers. Dowell of San Diego State University’s engineering department said it was strange that the breaching tests were conducted on mock-ups a third the size of the prototypes. He said that the taller a structure, the more likely it is to fall. “The results at the base, what we call the bending moment and overturning moment at the bottom or footing, would be different… unless they accounted for that by applying different loads,” he said. Breaching is a widespread problem along existing border infrastructure. The 653 miles of barriers on the nearly 2,000-mile U.S.-Mexico border are marred with cuts and patches. New breaches appear on a daily basis, with smugglers using axes, torches, battery operated cutting tools and more. U.S. Customs and Border Protection has said that in five years, existing fencing was breached more than 9,000 times, and two decades of maintenance costs more than $1 billion, due in part to breach repair. Q: Can The Barriers Be Tunneled Under? A: Unknown. The prototypes were supposed to prevent digging or tunneling for a minimum of 6 feet below the lowest adjacent grade, according to government specifications for construction. But the final report doesn’t show that the mock-ups were tested for this requirement. In a previous investigative series, America’s Wall, KPBS and inewsource found border fence construction is correlated with illegal cross-border tunneling. These tunnels, used for drug and human smuggling, tend to concentrate in areas with strong and layered fencing. In San Diego, which has one of the most fortified borders with Mexico, more than 60 tunnels have been found since fencing construction began. One was 90 feet underground. 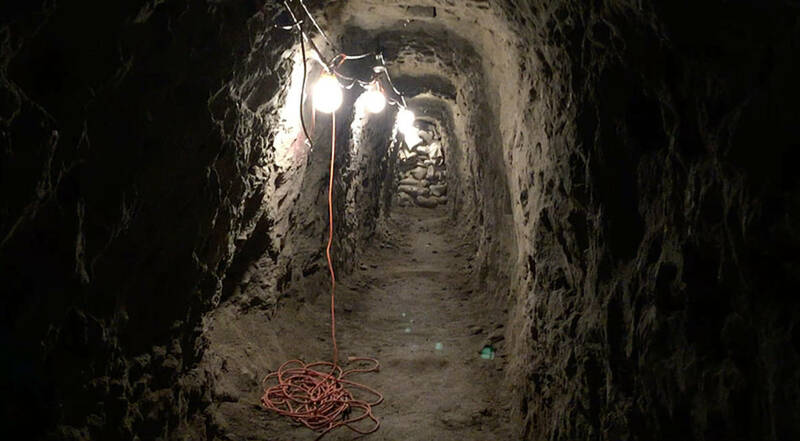 As tunnels become increasingly plentiful and sophisticated — with lighting, rail and ventilation systems — government methods to detect them remain rudimentary, according to Border Patrol. Q: Can The Barriers Be Scaled? A: Some Can. The prototypes were tested for how well they resisted climbing. That section of the report was too redacted to draw conclusions. But based on Trump’s comments when he visited the prototypes, “some” of the barriers can be scaled. “Those are the ones we’re not using,” he said. In the report, a reference is made to a “two by four wooden board” that was tied to a rope and thrown over the top of one of the prototypes. The attempts were also photographed and filmed. Q: Are The Barriers Adaptable? A: Not Entirely. The effectiveness of border barriers depends in part on the landscape. Whether the ground is mountainous, flat, coastal, sandy, rocky or thick with desert shrub, it impacts the functionality and constructability of the wall. 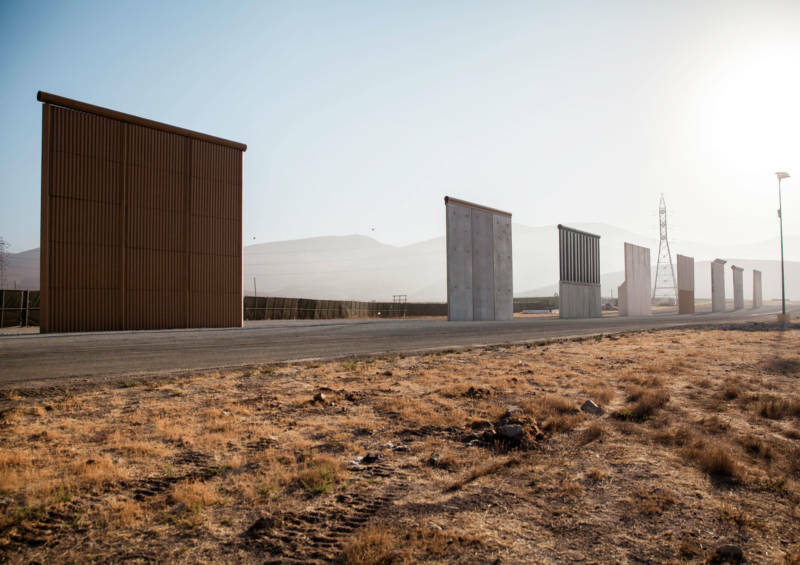 According to the testing results, the prototypes didn’t meet all of the construction and engineering-related requirements intended to ensure their compatibility with variegated border terrain. Five out of eight of the prototypes failed to meet the government specification to “facilitate changes in color and textures” amid changing landscapes. 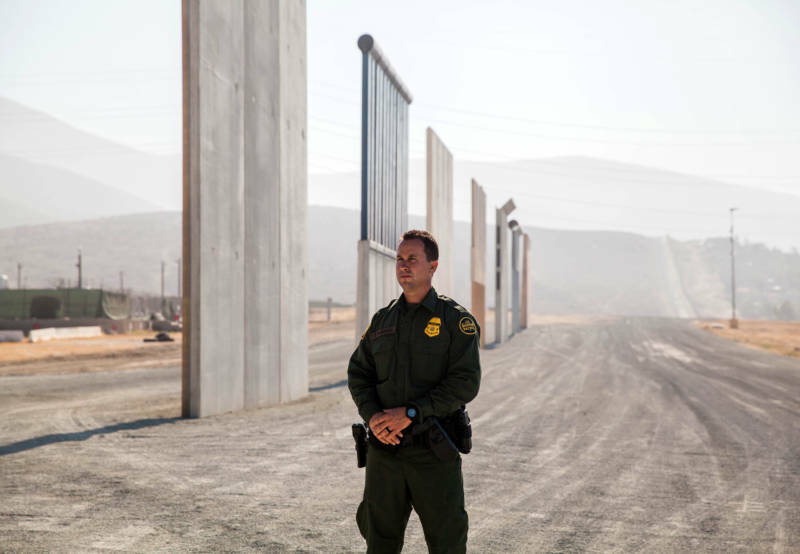 Six out of eight of the prototype designs “require significant deviation from the submitted design, resulting in variance in appearance and function,” to meet Border Patrol’s design standards for sliding gates. Q: Are The Barriers Attractive? A: Yes, To Some. The report analyzed how well the prototypes pleased the eyes of 76 participants, mostly engineers and people in law enforcement. According to the report, the “texture” of each prototype was the most important feature in determining its attractiveness. There was some agreement among participants about which was the best-looking, but the report redacted its name. The prototypes were built by Caddell Construction, KWR Construction, ELTA North America, W.G. Yates & Sons Construction Company, Fisher Sand & Gravel, and Texas Sterling Construction. The report was completed on February 23, 2018.